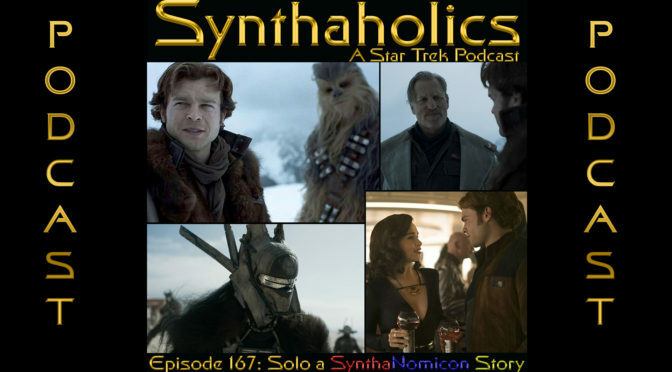 Episode 174: Who Watches the Watchers? David Duncan is off this week! So Aaron has the keys to the podcast. Will Aaron crash podcast into a ravine? 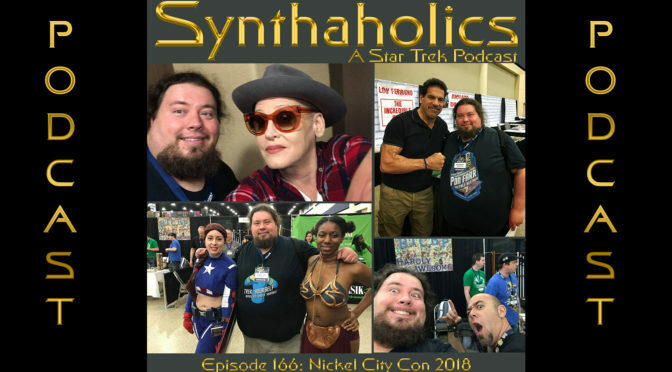 In this thrilling ride Aaron is joined this episode with Robbie Palmer from the Nerdynomicon. 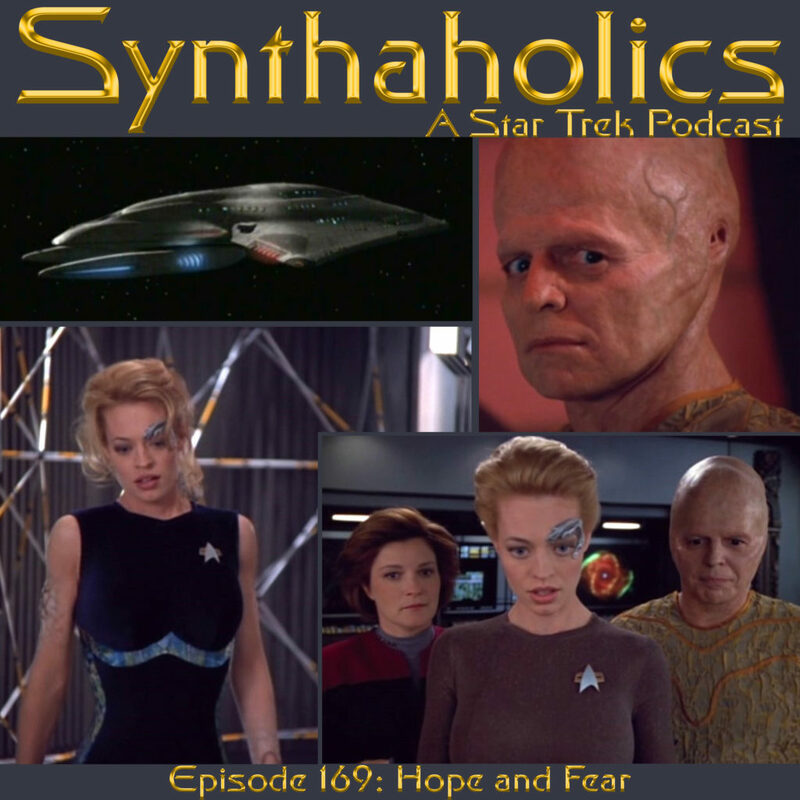 Together they discuss Star Trek: The Next Generation episode “Who Watches the Watchers?”. Robbie & Aaron talk about their love for Twin Peaks and the actor Ray Wise. 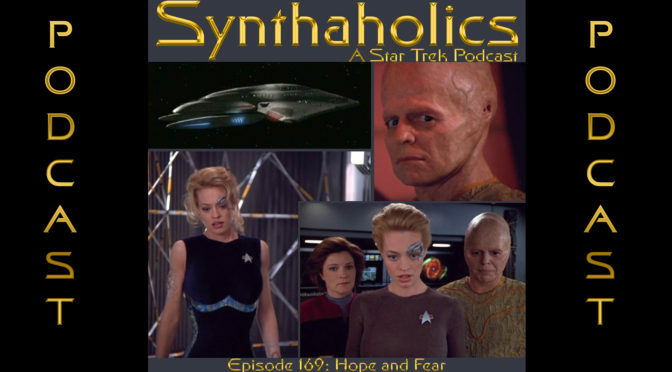 As they deconstruct this episode the topics of the Prime Directive, Ray Wise and Religion are discussed. 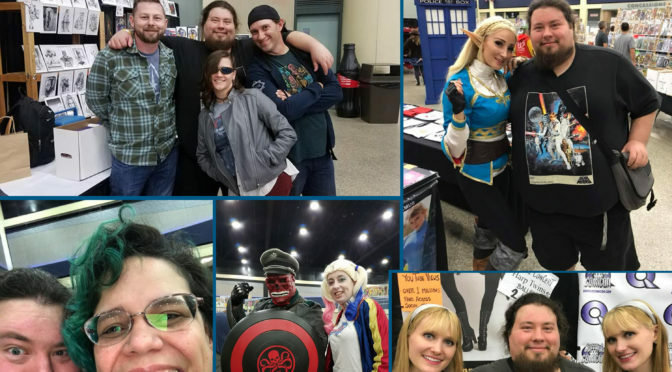 Last week we mentioned we could be at Nickel City Con and we had a fantastic time at the con this past weekend. Aaron ran the Numina Comics table and David was a roamer when he wasn’t moderating panels with Barbara Eden, Frank Cho, and Lori Petty. We didn’t speak to as many guests and vendors this year as past years. David did run into Jeff who has been on past comic con episodes and our Balance of Terror episode. David also got to talk to the Angry Video Game Nerd about some of his favorite Star Trek moments. 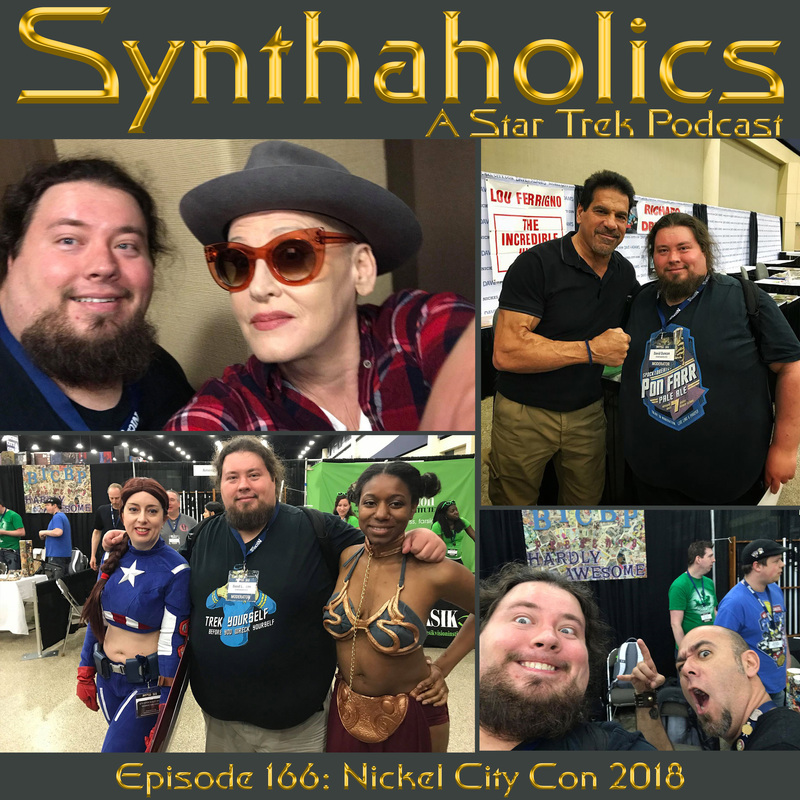 To round out the episode Aaron and I recorded our first podcast panel at Nickel City Con. 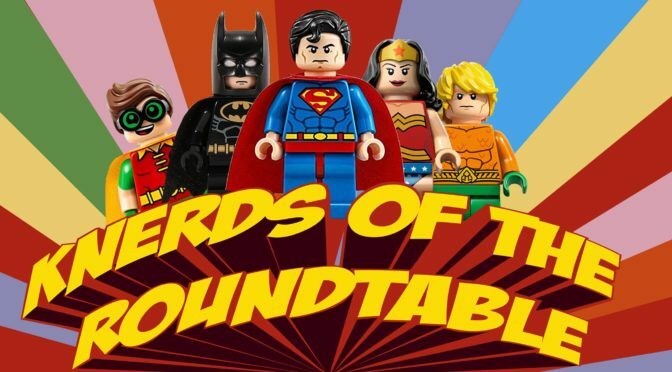 To round out the panel Robbie from The Nerdynomicon and Chris Chavez from the BICBP Radio Network join us. 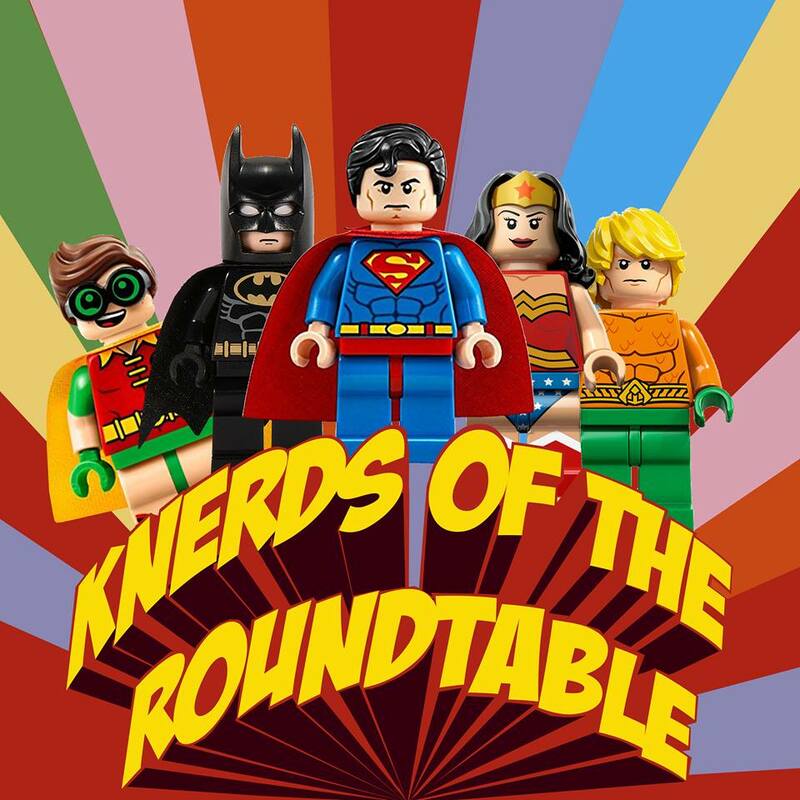 The panel is more about letting the people know about our shows and if they had and questions getting a podcast started. 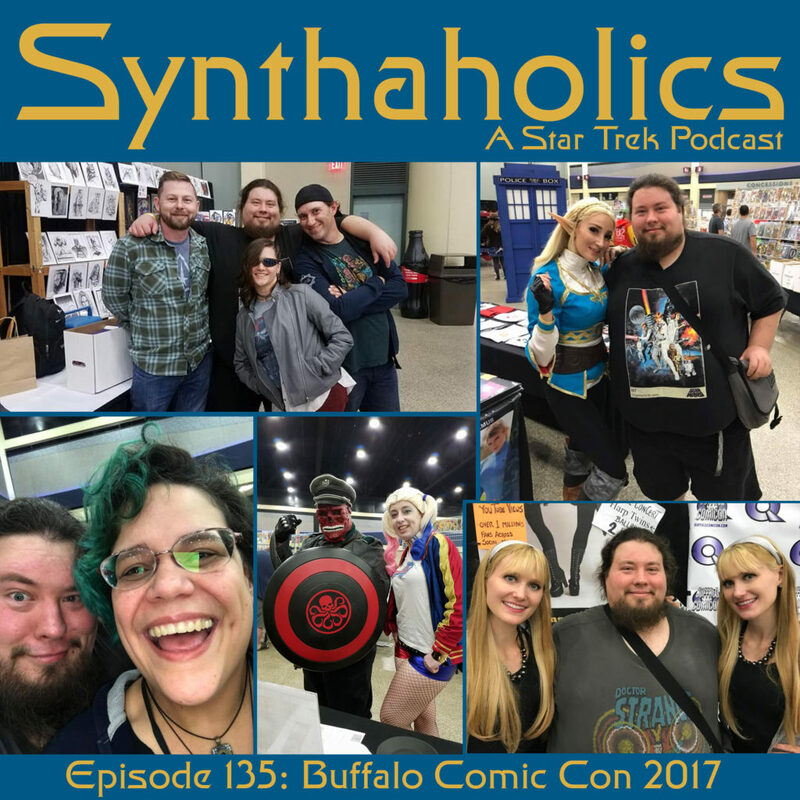 We hope you enjoy this special convention episode of Synthaholics! 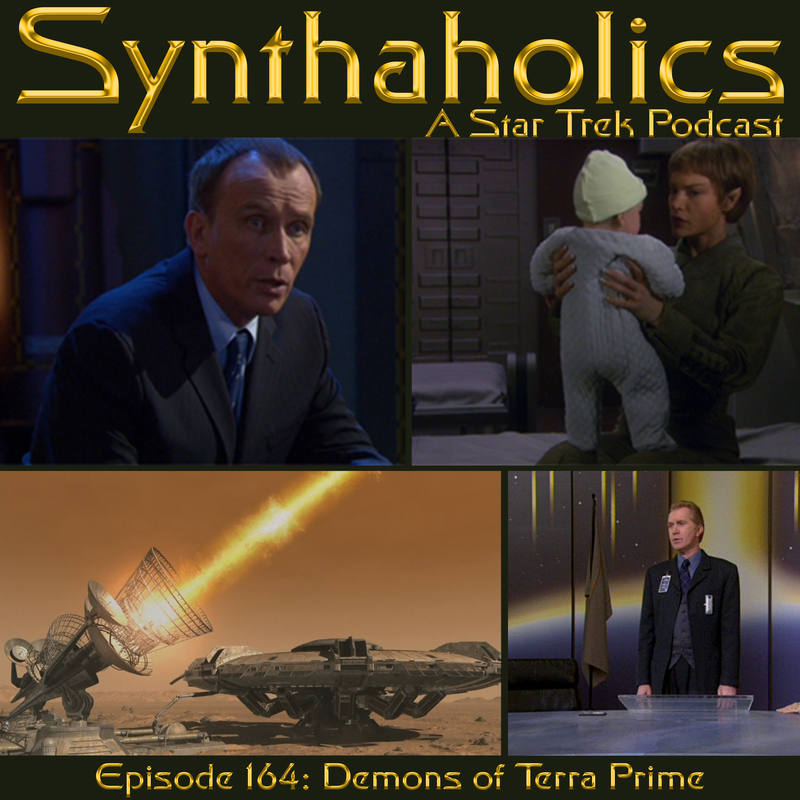 HollyMichelle is back this week joining Aaron and David to talk about the Star Trek Enterprise episodes Demons and Terra Prime. But first we talk some Star Trek Movie news and some Avengers Infinity War Spoilers so be warned! 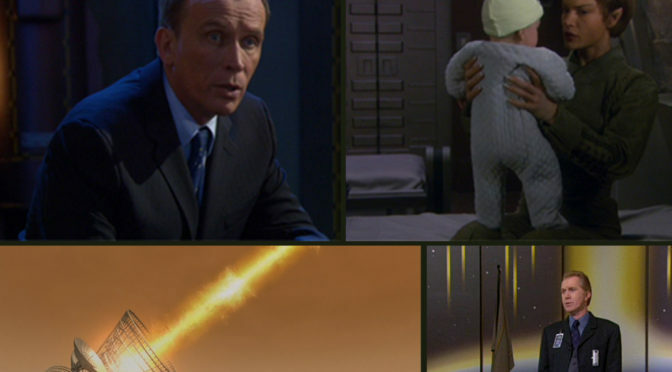 Demons and Terra Prime are the two episodes the come right before the series finale of Enterprise. In a way these episodes could of been a more satisfying ending to the show. 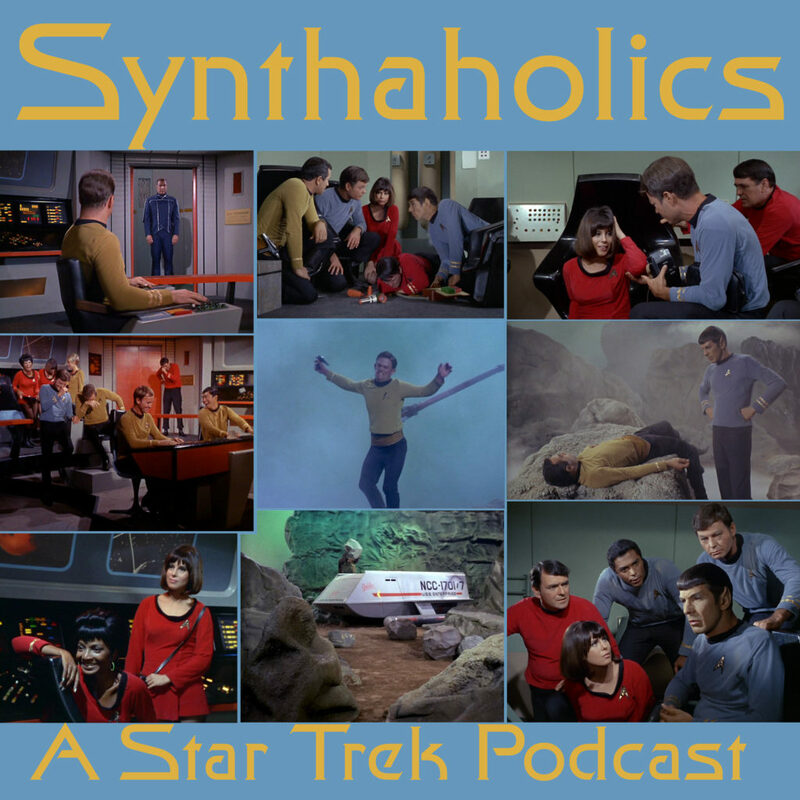 We discuss this as well the other heavy implications the episodes bring up and how shockingly poignant they are to our times. While these are pretty good episodes they do have some choopynes in their story telling. If you enjoy episodes that get you in the feels Terra Prime is for sure one of those episodes and we for sure encourage you to give it a watch. 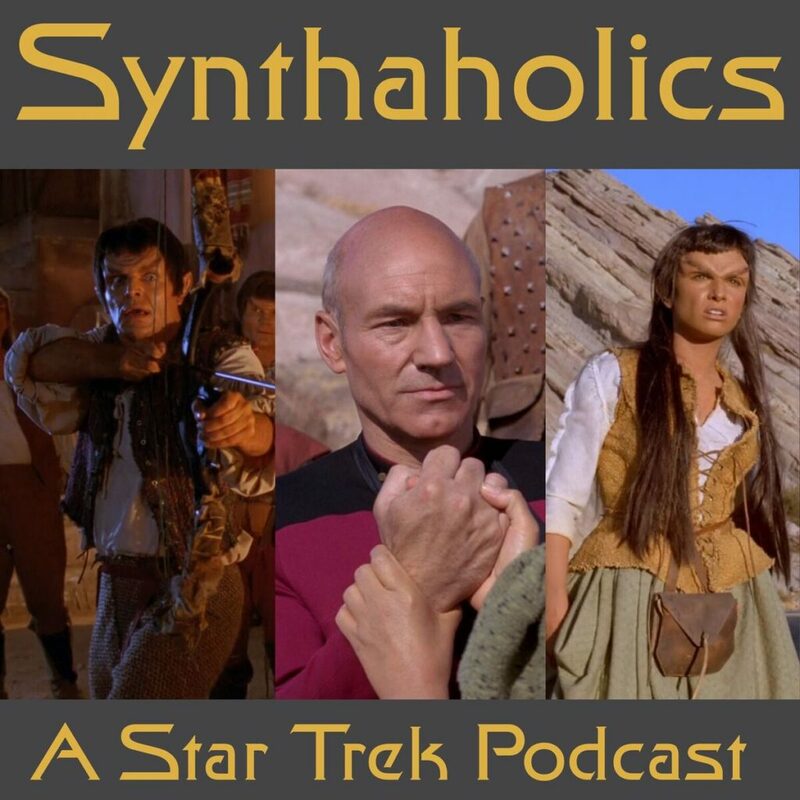 Pour yourself something green it’s time for your weekly shot of Star Trek! Josiah LeRoy from the Geekiverse is our first Trek Noob here to talk The Galileo Seven with us. You may remember him from our Star Wars Episode 2 and 3 shows. Also joining us is Holly Michelle, she has joined us in the past for The Halloween One and Worst of the Worst Part 2. 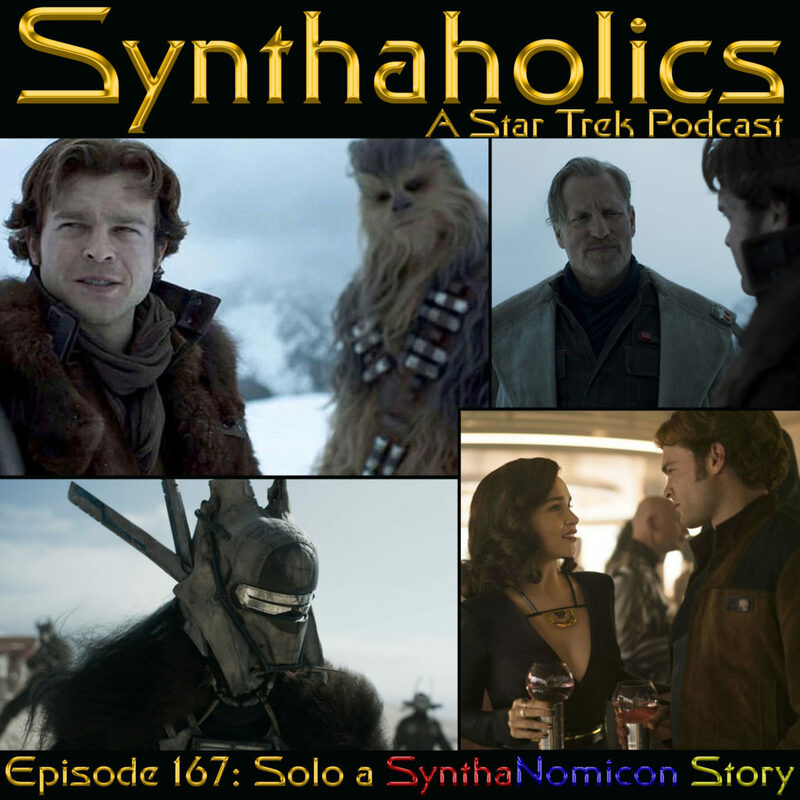 David and Aaron are of course your hosts as we dive into one of Aaron’s most favorite episodes. Josiah said this was a perfect episode to get him staring to watch Star Trek. 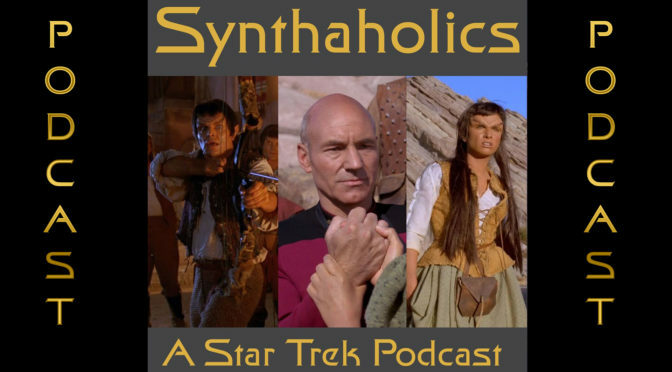 Aaron brings the science on pulsars, and some nice trivia on the lovely Yeoman in the episode. Time to light some candles and find your favorite drink it’s time for your weekly shot of Star Trek!